Ready to get started on your kitchen or bath renovation project? Cranbury Design Center listens to your ideas and then uses color drawings of your space to help make your vision a reality. We assist with design decisions, cabinet, countertop and hardware selections, and finishing touches like backsplash tile and paint colors. Call or come in to see us in our showroom to get started on your remodel. We look forward to meeting you! Spacious, bright, custom-built, 5 bedroom, 4 bath Colonialstyle home, on a private 3 acre lot. Great for entertaining and multi-generational living. Oak hardwood flooring on first floor. Newly updated, eat-in kitchen -- granite counters, ceramic backsplash, island, deep stainless steel sink, new faucet & Stainless Steel kitchen appliances (gas stovetop/oven, microwave, refrigerator & dishwasher (2019)!) Inviting family room with built-in mahogany cabinets/book shelves leaded glass inside lighting, & lovely gas-fueled fireplace. Four bedrooms on 2nd Floor, including large, comfortably-carpeted master bedroom w ensuite bath, double sinks, tub/shower, and two walk-in closets, along with a main full bath. 3rd Floor bonus room, with full-height ceilings, window seats and additional storage. The full finished basement has 5th bedroom with French doors leading to the yard w heated pool, a large laundry room & full bath. Hot water heater (2017); newer AC compressor (2016); real stone (12 x 24) deck (not facade) w an iron railing. 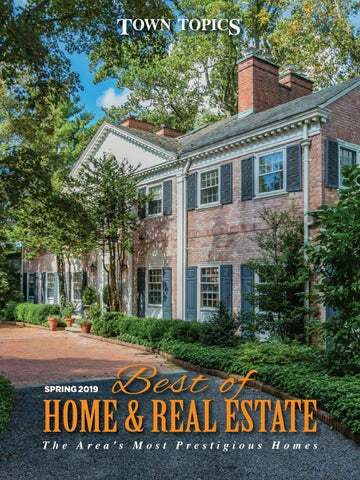 On the cover: Photo courtesy of Gloria Nilson & Co. Real Estate. ANtime is NOW to upgrade your home OFFER The with A N The O F F Eyour R home with aSnew efficiency is NOW U Ntime TO P PAtoBupgrade L E high A Ntime O F F E R UN S TO P PA B L E The is NOW to upgrade your home with a heating new high efficiency and cooling system. a new highyour efficiency The time is NOW to upgrade home with heating andsystem. cooling system. a heating new high efficiency and cooling heating and cooling system. 38 Woodens Lane, West Amwell, NJ Looking for a vacation home or just want to live like you are on vacation? This rare 3,000 sq ft custom built Adirondack Lodge is situated on 20 preserved acres in desirable Hunterdon County. Built from Engelmann Spruce full length logs from a dead forest in British Columbia and formally owned by a well-known jockey (Smarty Jones for the win), this home will surely impress. A soaring 30’ ceiling with panoramic wall of windows overlook the grounds from the great room. In winters, relax in front of the 20’ stone fireplace with a glass of wine, a good book and your favorite person too. Gleaming random width pine flooring is throughout this home. Screened porch, gourmet kitchen, full basement with walk out and more. Your animal friends will love the barn and so will your toys! (tractors, quads, snowmobiles). Several pastures with run in sheds, a shooting range, quoit court (horse shoes if you prefer), sheds, and best of all, the views. Tour this home today and see how it differentiates itself from other homes of distinction. Contact: 609-306-5432. 423 Pennington Titusville Road, Hopewell, NJ Luxury meets Engineer. Current owners selected this amazing 6 acre parcel to build their dream home mainly because of its proximity to New York City & Philadelphia yet close to the town of Pennington and Hopewell Township schools. 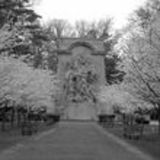 Enjoy nearby Washington Crossing Park and the scenic Delaware River. Set back from the road, a long drive leads you to the front of this Estate home, surrounded by preserved woods and open fields creating a sense of secluded retreat. You will love the entertaining flow of the formal and informal spaces but will be more impressed by the unseen extras including; radiant heat flooring, 1800 sq ft full height basement, 12 in thick concrete wall foundation, under-ground utilities, 8 zone heating, 300 amp electric service and generator hookup, 360 ft well, 3 car over-sized garage fully insulated and radiant heat. Easy commuting with Trenton/Mercer Airport, major train systems, I-295 and Routes 29 & 31. Enjoy nearby vacation towns of Lambertville & New Hope offering fine dining, arts and antique shopping. Contact: 609-306-5432. Elisabeth “Beth” Kerr Weidel Realtors Two Route 31 South Pennington, NJ 08534 Cell: 609-306-5432 http://www.Weidel.com/Beth.Kerr I appreciate your Business - thanks! 83 Chambers Street, Princeton Rarely Available ... Situated on the west side of the Palmer Square Shopping & Eateries complex in downtown Princeton, this beautiful 2,850 SF, three-bedroom, three-and-a-halfbath townhouse at The Residences at Palmer Square offers a convenient maintenance-free lifestyle. A 10-foot foyer welcomes you to the comfortable home that extends to a gourmet kitchen. Pocket sliding doors frame the spacious living and dining room filled with custom appointments. The custom designed eat-in kitchen includes granite and natural stone, Viking stainless steel appliances, and raised panel rich maple cabinetry. A powder room and ® a back entrance to the two private parking spaces in a gated area complete the first floor. An elegantly designed staircase leads to the second floor featuring a master bedroom with a spacious sitting area, luxurious bath, and a walk-in closet. A den and laundry room are also located on the same floor. A private terrace outside the den provides an added benefit 48 West Broad Street • Hopewell, NJ 08525 • p: 609.466.1445 • f: 609.466.1499 • tobiasdesignllc.com donnamurray@comcast.net of outdoor living. Each of the two secondary bedrooms on the third floor has a private bath 2015 NJ REALTORS® Circle of and spacious walk-in closet. The custom finished basement with a wine room provides Excellence Award® Winner -Platinum additional space for work, relaxation, and entertainment. Visit our Gallery of Virtual Home Tours at www.foxroach.com • nicole.muk@foxroach.com A member of the franchise system of BHH Affiliates, LLC A member of the franchise system of BHH Affiliates, LLC. jstefandl@callawayhenderson.com 4 NASSAU STREET PRINCETON, NJ 08542 609.921.1050 EACH OFFICE IS INDEPENDENTLY OWNED AND OPERATED. SUBJECT TO ERRORS, OMISSIONS, PRIOR SALE OR WITHDRAWAL WITHOUT NOTICE. Serving Mercer, Somerset, Hunterdon and Middlesex Counties. Call me for more information on this great sale! Don’t miss this exceptional home in the wonderful Princeton Ridge section of town. This beautiful, treed, 2-acre lot backs to more than 40 acres of preserved land. Designed by Rolf W. Bauhan, one of Princeton’s most prolific architects, this home is timeless in architectural detail. Light, bright, and fully updated, enter this home through the signature foyer with arched doorway. This 5 bedroom, 4.5 bath home has two Master suites. The first floor expanded Master, exclusively designed by Peter Morgan, has been beautifully renovated with high ceilings and a gorgeous large bath, walk-in closet and two side closets, and a gas fireplace. As a special treat, enter the bluestone and brick patio and spacious yard from your bedroom. The large, open, bright Living Room with a wood-burning fireplace opens to an inspiring Den/ Office. The Living Room is also open to the Dining Room, custom designed by Max Hayden. The gourmet Kitchen, with beautiful Brazilian granite counters, cherry cabinets, double sink, and high-end stainless steel appliances, plus a Breakfast Room, provides the opportunity for great entertaining as well as intimate gatherings. The first floor Laundry and two-car Garage finish the first floor of this not-to-be-missed home. The second Master, upstairs, also has an ensuite full bath. This room is adjacent to three additional Bedrooms and two full Baths. There is also an expansive Family Room with a second staircase leading to the first floor. The whole house has large beautiful windows, lots of light, and hardwood floors. The front of this home is stone and wood. Please come and see for yourself. Top-rated Princeton schools, near downtown, shopping, restaurants, and everything important. One-of-a-kind townhomes and condominiums in the heart of downtown Princeton – distinctive residences featuring grand master bedrooms, contemporary kitchens, and spa-style baths. Own or rent to live in the center of it all.